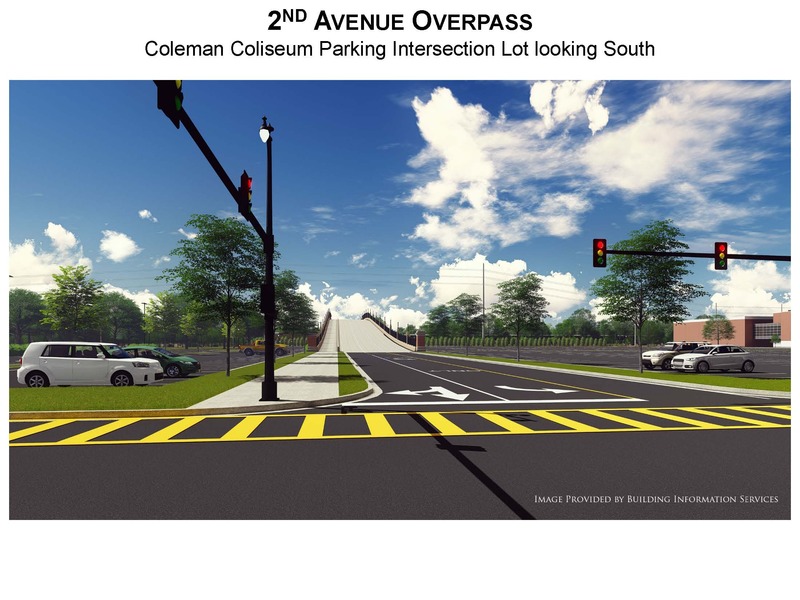 This artist’s rendering shows a view of the 2nd Avenue Overpass from the Coleman Coliseum parking lot looking south. WASHINGTON, D.C. — U.S. Sen. Richard Shelby (R-Ala.) announced today that the U.S. Department of Transportation has awarded The University of Alabama with a $6,025,657 Infrastructure For Rebuilding America, or INFRA, grant. This funding will assist with the construction of a $22,608,175 overpass that will correct a transportation barrier in Tuscaloosa. This $6,025,657 INFRA grant will provide funding for the construction of a bridge over an existing rail line, which will decrease traffic delays and improve safety for residents in Tuscaloosa and surrounding areas. Additionally, it will provide an alternative route for approximately 80,000 vehicles per day, reducing conflicts with the train and other vehicle-pedestrian traffic for those traveling on and off campus. The INFRA grants program was established by DOT in June 2017 to advance the Administration’s principles and help rebuild the nation’s infrastructure. Additionally, INFRA aims to increase the total investment by state, local and private partners.